…to transforming your day as your dedicated toastmaster. Whether it’s a wedding, a corporate event or a society banquet, every event deserves to run smoothly. 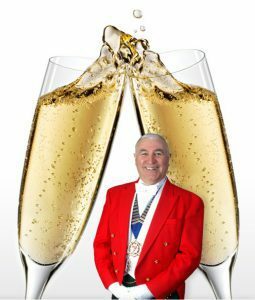 As your dedicated toastmaster and MC I’ll provide an unforgettable service that’s professional, smooth and guaranteed to take the pressure off you. 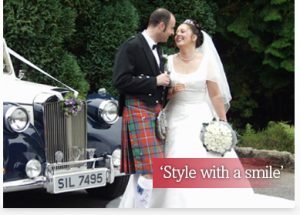 From making arrangements in advance, through to introducing guests and complete toastmaster duties during the event, I’m committed to making your event the best that it can be. Whether you need me to work as your toastmaster, event host or wedding MC, I’ll work closely with you to ensure that the service I provide is exactly right for your occasion. 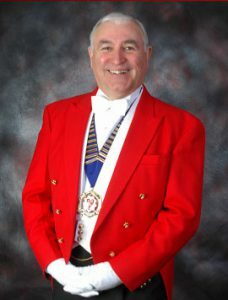 My extensive experience as a toastmaster and MC at the most prestigious events means that I can adapt my role and presence – retaining the air of professionalism and style that characterises my work, whilst staying appropriate to the audience and flow of the event. If your chosen venue doesn’t have a sound system, don’t worry; I have a full complement of Bose sound equipment along with a microphone and background music which keeps the atmosphere alive during a meal or drinks reception. And when my job is done, I won’t disappear – I can remain in attendance to address your guests until the entertainment arrives. If the worst happens and they don’t arrive, I can stay at the venue for the evening so you won’t be left high and dry. Your wedding should be a flawless experience for everyone involved, and I’ll work hard to ensure that everything runs according to plan. I’ll liaise with the hotel, catering staff and photographer diplomatically yet decisively to make your dreams a reality. Similarly, corporate receptions and banquets will always run more smoothly with my help: my sense of feeling for the occasion and vast experience as a toastmaster allow me to provide a service that’s well organised and smooth, but without overshadowing the fact that this is your event. I’m the perfect toastmaster for you. Call or email, and I’ll be glad to help.